We all want our dogs to look, feel, and smell their best, but it takes effort to keep that coat shiny. Grooming practices vary from breed to breed, and factors like bathing, brushing, and diet all have an impact on your dog’s reflection. Let’s get into the importance and logistics of keeping your dog healthy on the outside, too. Although bathing seems like it would be the more important of the two, brushing actually has a much greater impact on your dog’s health. If your dog is a shedder, there’s likely no amount of brushing in the world that will save you (or your couch) from stray hairs. Still, brushing does remove loose hairs and also untangles any matted hair that has built up. This is a plus since you probably don’t want your dog walking around looking like a mop with eyes (unless you have a Puli). Breeds like Poodles, Bichon Frises, and Cocker Spaniels are all more prone to mats. Make grooming a priority if your dog has a long coat or is a heavy shedder! Between regular brushings and attention to overall hygiene (i.e. 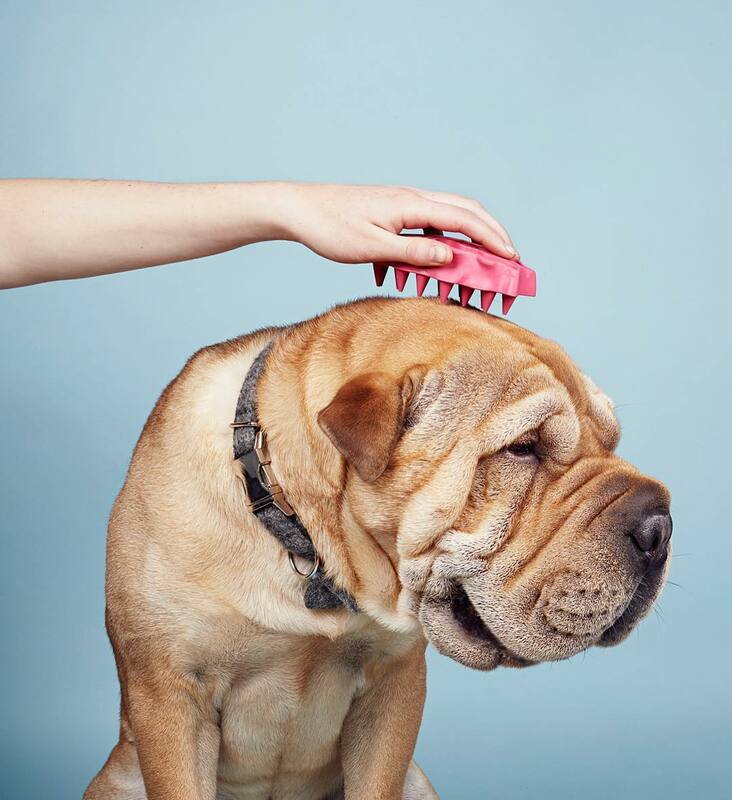 teeth, nails, and eye gunk), your dog can probably get away with a bath every month or two, barring a fondness for manure or other funky smelling shenaningans. Just make sure you’re using dog shampoo, as the human variety would throw your dog’s pH balance out of whack, leaving his skin vulnerable to rashes and parasites. The specific techniques you should employ when grooming your dog will vary depending on the type of hair your pup is sporting. In general, dogs with shorter, slicker coats need fewer baths and grooming sessions than those with longer, thicker hair. Not sure what type of brush to use on your dog? Options include a bristle, pin, or slicker brush. The bristle brush is generally used for smoother coats, the pin is best for longer hair, and the slicker works on either mane. The advantage of the slicker brush is its unique ability to remove loose hairs that would otherwise end up on your couch, carpet, or face. Some dogs also have an undercoat, which is – you guessed it – a second coat beneath the topcoat of fur. The undercoat is meant to keep your dog warm in the winter, but when summer arrives he will shed like crazy. If you don’t want your apartment swimming in dog hair, get yourself a special tool called an undercoat rake. How does your dog’s diet affect coat health? If you think your dog might have an omega-3 or omega-6 deficiency, you can supplement his diet with fish or flaxseed oil or switch to a fresh, balanced meal plan. If you’re home cooking for your dog or supplementing yourself, check in with a veterinary nutritionist to ensure that you’re feeding a balanced diet. Brushing, bathing, and feeding your dog right? Get ready for hair so healthy, it shines.